Recently my good friend Kelly was looking for a new bed frame and expressed some interest in having me make one for her. 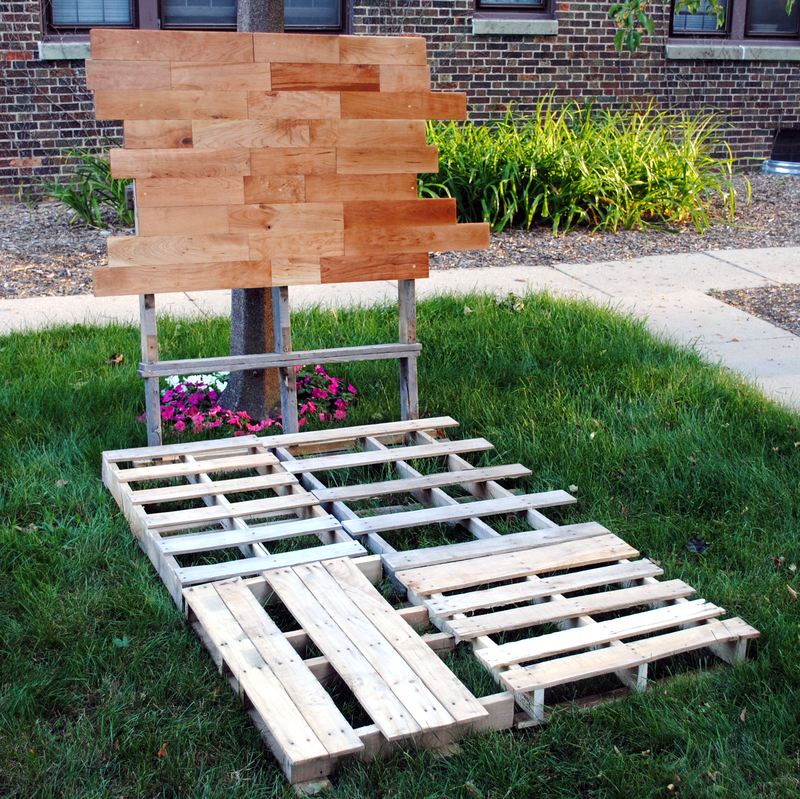 She gave me a lot of freedom with the project with the exception of using pallets for the main part of the frame. 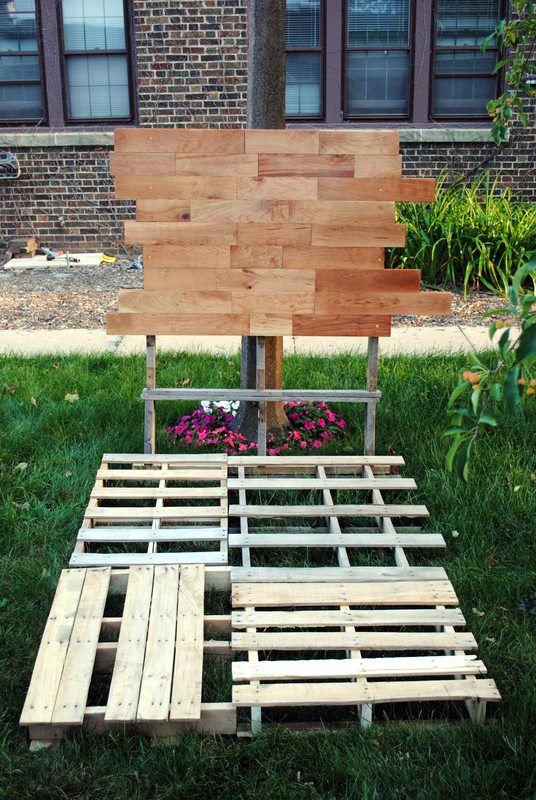 I have been wanting to experiment with using pallets and this seemed like a great opportunity to do so! 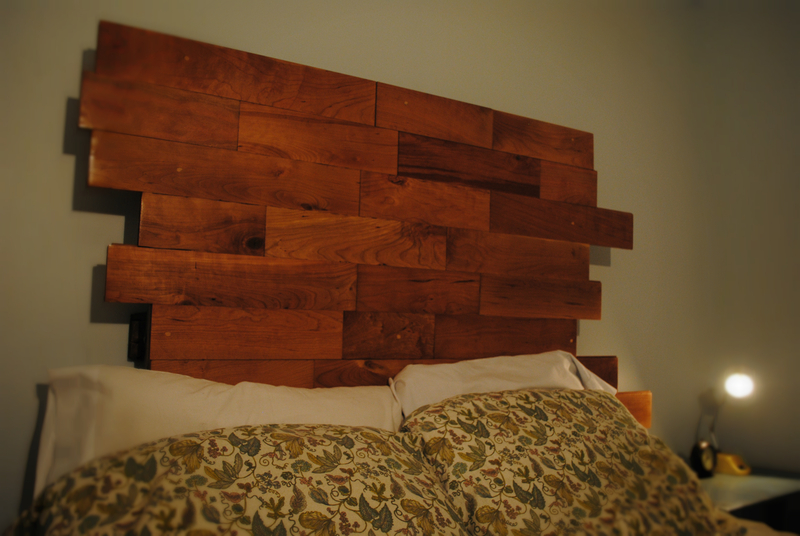 Besides using pallets I had some spare cherry flooring lying around and incorporated that into the headboard. It turned out great and she loved it! 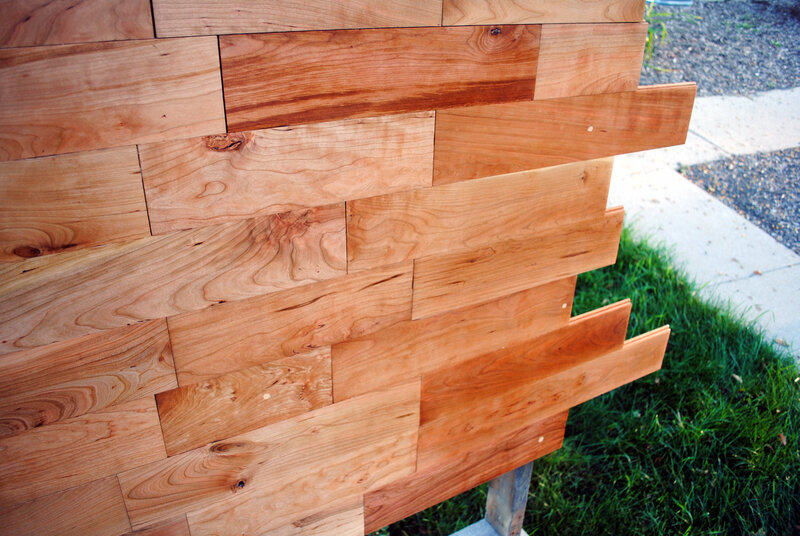 Made from reclaimed cherry flooring. 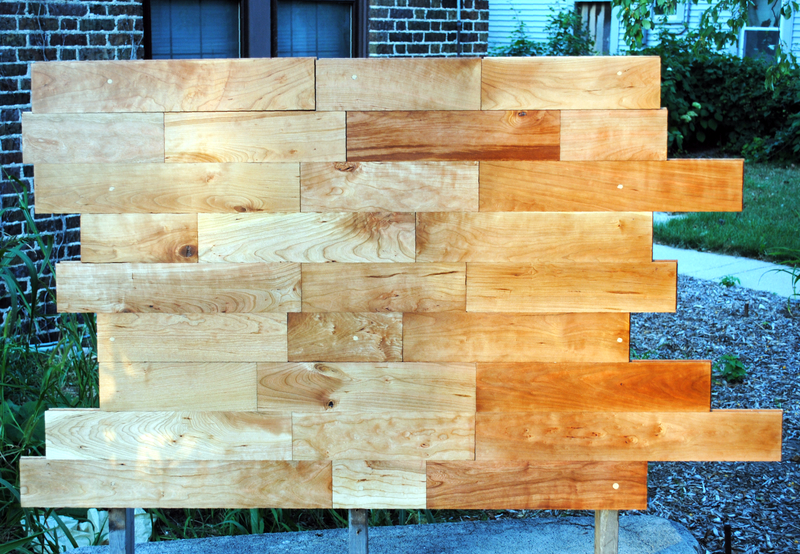 Cherry flooring headboard and pallet bed frame.